THE doors to Islay’s newest whisky distillery swung open this morning (April 12). 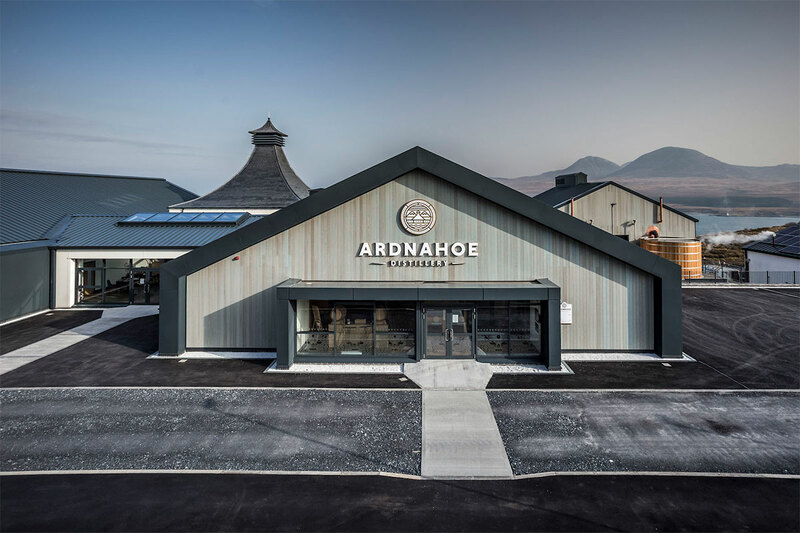 Ardnahoe Distillery has become the ninth working distillery on the island and was created with a £12 million investment from family-owned blending and bottling firm, Hunter Laing & Company. It is the first distillery to be built on the island since Kilchoman in 2005. Aiming to draw in 20,000 visitors each year, the distillery – which sits on the island’s north east coast between the Caol Ila and Bunnahabhain distilleries – was officially opened by Lord Robertson of Port Ellen, with key members of the island community and wider whisky industry in attendance. Ardnahoe will produce a peated spirit that will be matured in a combination of ex-bourbon barrels and ex-sherry casks. Production at the distillery is overseen by industry veteran, Jim McEwan, and incorporates traditional distilling practices, such as the use of wooden washbacks and Scottish-made lamp glass stills, with automation said to be kept to a minimum. Stewart Laing, managing director of Hunter Laing & Company, said: “Since working as a teenager at Bruichladdich Distillery over 50 years ago, I have had a huge affinity with Islay and its malt whiskies. When we decided to build our own distillery, there was only one possible location.